Then you're ready for IdiomaX Translator 7.0. Translate documents in multiple formats: PDF, DOC, DOCX, RTF, HTML, TXT, etc. Save the translated file in multiple formats. The revolutionary IdiomaX Mobile Translator. It downloads easily onto your SmartPhone or Pocket PC and goes wherever you do. Stuck for a word or phrase when you're stuck in traffic? Need to translate an email at the lake or a document on a business trip? Mobile Translator is as close and convenient as your cell phone. 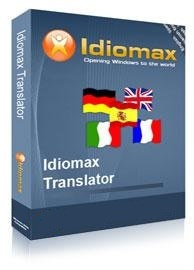 Special Price Offer: You get 10% off the Mobile Translator when purchased with the IdiomaX Translator.